(CQ) is a powerhouse ancient Ayurvedic multi purpose herb that has been used traditionally to support muscular skeletal strength. Know as the Sanskrit word Asthisamharaka literally meaning that which saves the bones from their destruction. It's reputation for the enhancement of muscle integrity appears to be linked to a reduction in the catabolic (muscle wasting) impact of the stress hormone, cortisol. There are also indications of stimulation in testosterone production that may be linked to both muscle building and increased libido. Cissus Quadrangularis (CQ) is a multi-purpose herb formulation from the ancient ayurvedic healing practice that has been used for the promotion of digestive wellness and the treatment of ear and eye disorders, asthma, hemorrhoids and the accelerated healing of bone breaks. 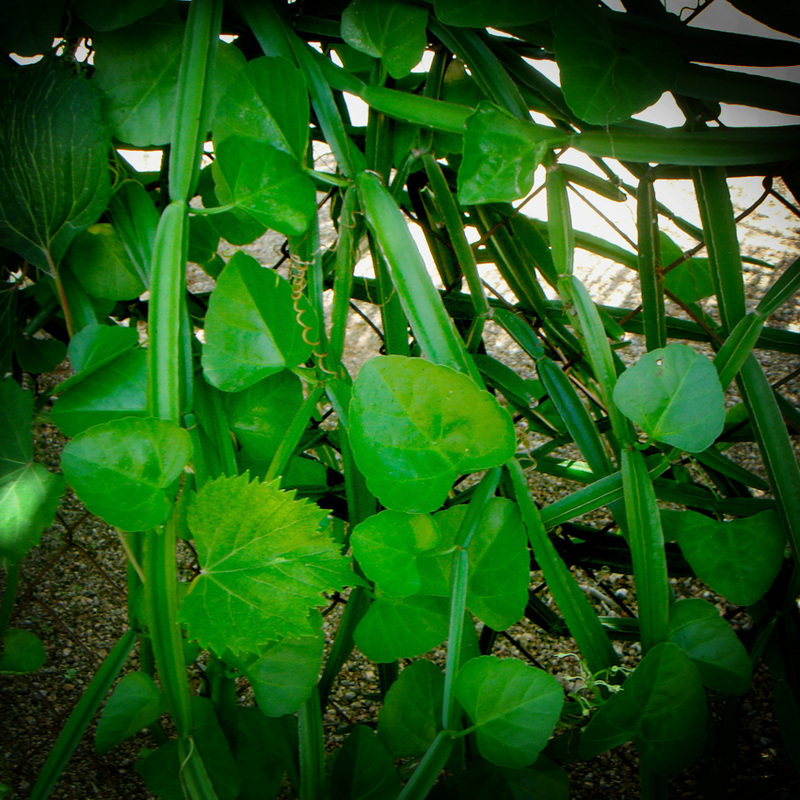 Cissus Quadrangularis has numerous bio-active compounds such as Iridiods, alkaloids, is rich in vitamin C and beta carotene, Resveratrol, Phytosterol substances calcium oxalate, flavonoids, Quercetin, enzymes, nicotinic acid, tyrosine and triterpenoids the stems have unique stilbene derivatives (anti-oxidants) Quadrangularins A, B & C, piceatannol, pallidol, parthenocissin and other lipids and phytosterols (p-sitosterol and isopentacosanioc acid) to name two. This herb has recently claimed research attention as a natural anti-inflammatory agent and as a natural tool to address osteoporosis. This plant extract has also been shown to provide a positive impact upon the lowering of fat management blood markers, including LDL cholesterol, triglycerides, blood glucose and fat mass. CQ contains quercetin, vit c, resveratrol and kaempferol along with beta sitosterol and other phytoestrogens. It also features iridoid compounds that appear to reverse that loss of bone mass associated with aging. CQ has a reputation for the enhancement of muscle integrity that appears to be linked to a reduction in the catabolic (muscle wasting) impact of the stress hormone, cortisol. There are also indications of stimulation in testosterone production that may be linked to both muscle building and increased libido. CQ has also been linked to improved glucose metabolism with researched reductions in blood glucose, insulin and insulin sensitivity. 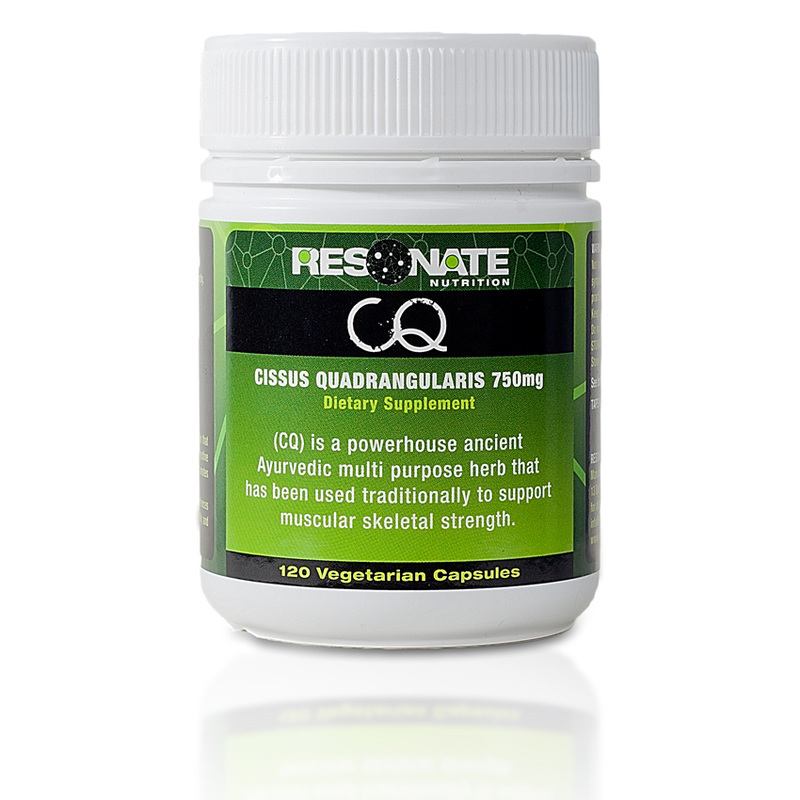 CISSUS QUADRANGULARIS HERBAL EXTRACT POWDER 750mg Encapsulated to be vegetarian and vegan friendly. (CQ) is a powerhouse, multi-purpose herb used in ancient ayuvedic medicine that has been used traditionally for the support of digestive health, in supporting both ear and eye health and promotes optimal bone health. Recent research shows (CQ) is a natural anti-inflammatory agent and aids with symptoms associated with Arthritis and Osteoporosis. An ancient Ayurvedic multi purpose herb that has been used traditionally to support and strengthen the muscular skeletal system. With its powerful anti- inflammatory ability, it aids in the relief of muscle injury. Years ago I was diagnosed with polymyalgia a muscle wasting disease, with that I also suffered swelling, aches and pains in my joints. I'm an active man and like to enjoy my days and quality of life. With these symptoms it made it hard for me to do my usual walks and to stay as active as what I'd like until my son who is an athlete who fights Muay Thai and surfs suffered some injuries and started taking CQ and found he was further ahead of where he should be in his progression with his rehab programme. He brought me CQ capsules to try and within 3 weeks my aches and pains where gone, I had to take links off my watch because the swelling had gone and now I've hit the pavement and walking the beaches again. I highly recommend CQ to young and old at any stage in their life. Mike B, 70 yrs old.